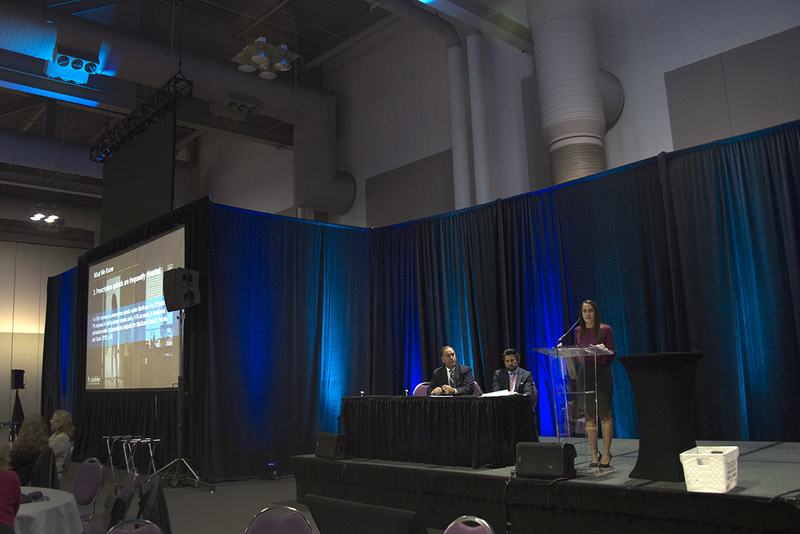 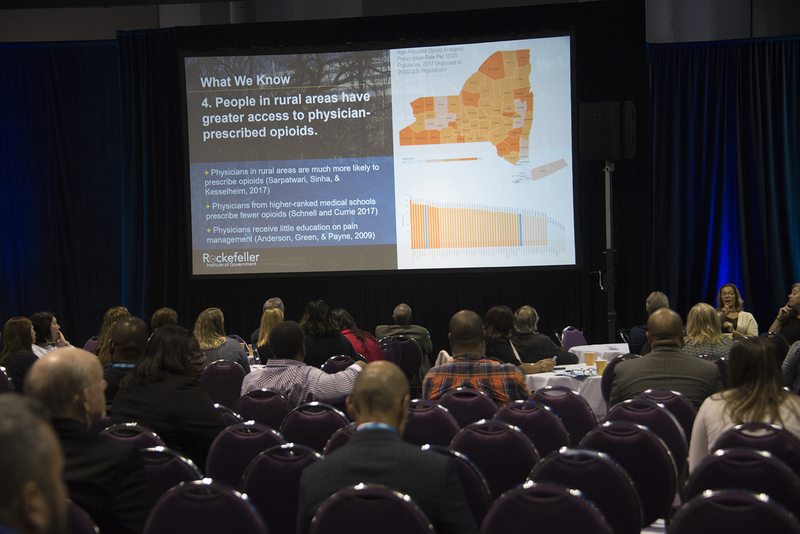 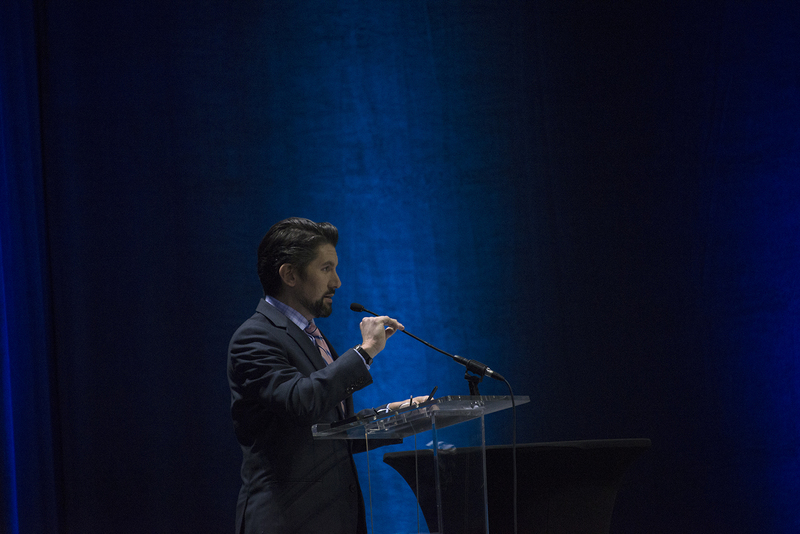 Rockefeller Institute of Government President Jim Malatras and Assistant Director for Policy and Research Katie Zuber discussed the Institute’s ongoing, on-the-ground study of the opioid crisis at the annual conference of Alcoholism and Substance Abuse Providers of New York State (ASAP) on Tuesday, September 25, in Syracuse, New York. 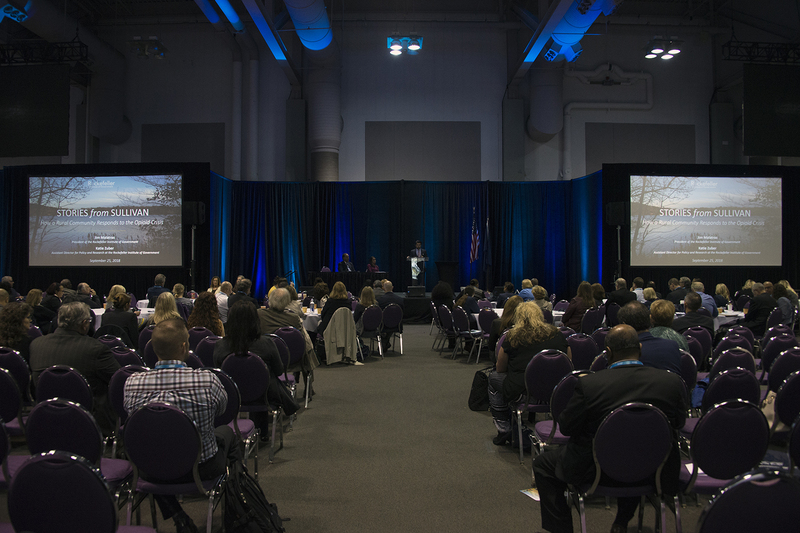 Rockefeller Institute researchers have been studying the crisis — and the responses by local governments and communities — in Sullivan County, New York, for the past year. 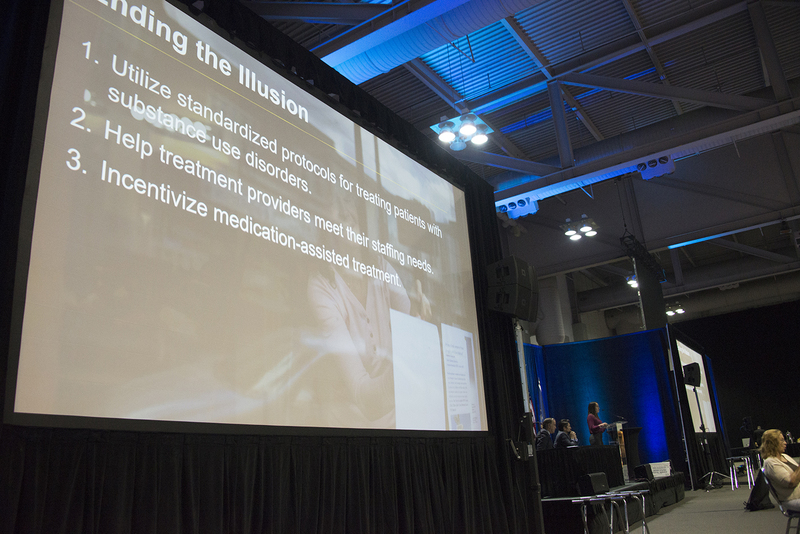 With a mix of rigorous data analysis and interviews with the people on the frontlines, they’re presenting an in-depth look at the growing epidemic with the goal of pointing the way to effective policy solutions. 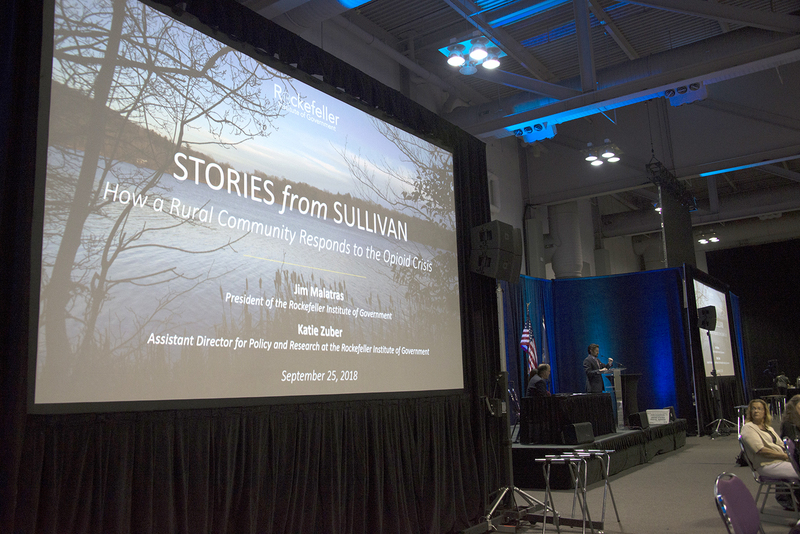 You can follow the research in real time with the Stories from Sullivan series online, on Twitter, and on Instagram. 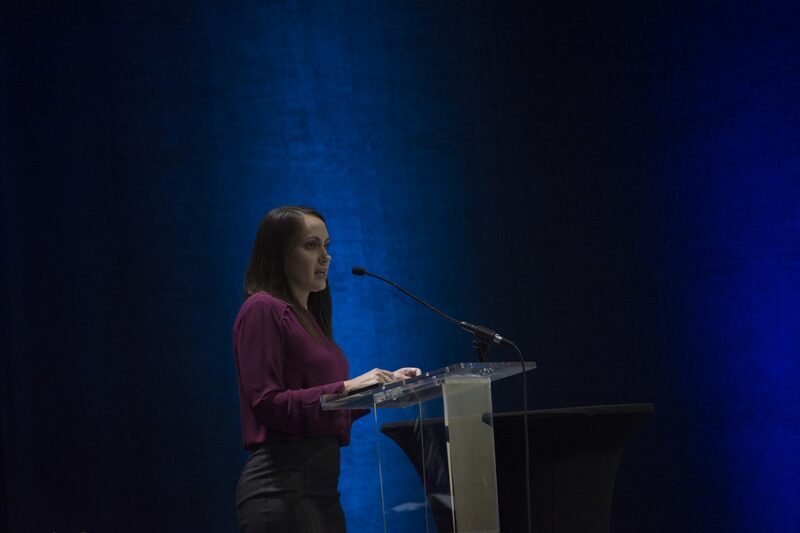 The ASAP conference continued the Institute’s statewide forum series addressing the opioid epidemic, launched in June with a town hall at the Rockefeller Institute focused on community-based strategies for combating the crisis.